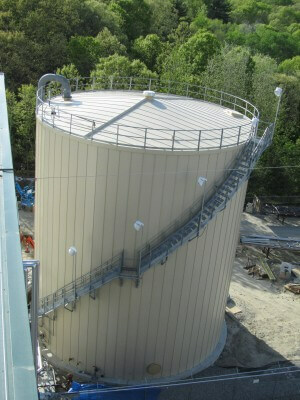 MC&I designed, manufactured and installed the RIDGLOK® Vertical Standing Seam Insulated Panel System at a power plant located in Plainfield, CT. The RIDGLOK® Vertical Standing Seam Insulated Panel Systemconsisted of 0.024 stucco-embossed aluminum metal jacketing, in fawn, laminated to 2″ thick of polyisocyanurate insulation board. R-value of 13.1, using a straight panel roof system. 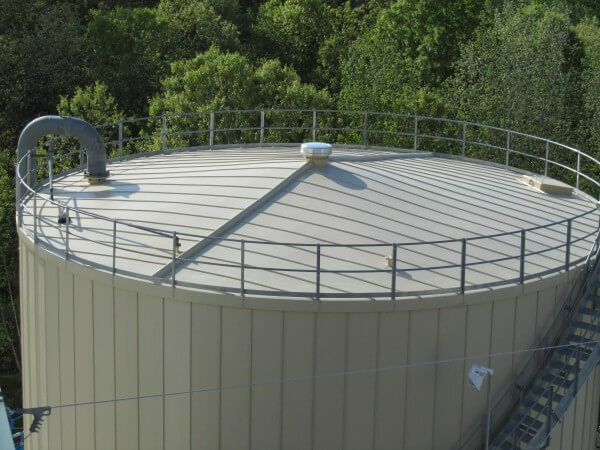 RIDGLOK® Vertical Standing Seam Insulated Panel Systems REDUCE temperature difference to provide a THERMAL barrier between the external temperatures and the internal tank contents. 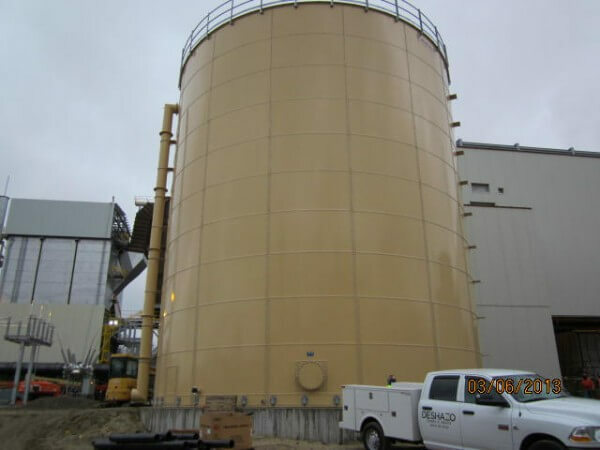 Insulation of storage tanks REDUCES routine maintenance and PREVENTS energy waste while LOWERING fuel costs.